Get your INR results on the spot, no more waiting at the lab! Tired of waiting long hours at the lab monthly to get your INR test done? Tired of waiting for your doctor’s office to call back with results and instruct you on your warfarin dose? 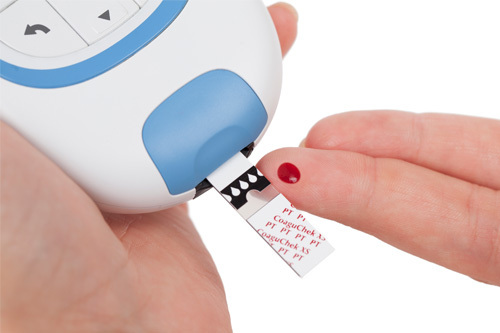 Centrepoint pharmacy now offers INR lab testing along with warfarin dose management right in our store! With a dedicated clinic monthly, you have a set appointment and you are in and out within minutes! The best part? You receive dosing instructions on the spot from one of our certified pharmacists so there is no more waiting for the doctor to call. Our lab testing is via the Coagucheck meter and only requires a pin-prick from the finger for quick, less painful, on the spot results! We also can schedule appointments outside of our set clinics, for situations that require an extra INR level such as the initiation of a new medication. Our pharmacy will be ready to fill your new dose after your appointment so that you can get everything done in one day. This means you can get your INR level, your new dose instructions and your new prescription all within 15 minutes and without ever having to go to multiple locations! Call us today and see how you can be a part of this amazing program, FREE!